Technological developments and sustainable ecosystem are the key factors ensuring long-term sustainability of industry and society. 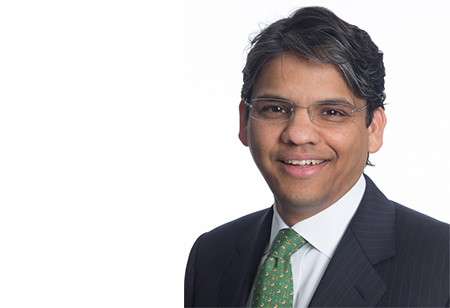 Owning global potential and stellar qualities in the similar arena, Cognizant announces its Vice Chairman and CEO Francisco D’Souza being named as Chairman of the IT and Electronics Governors community at the World Economic Forum’s annual meeting in Davos, Switzerland. An independent and impartial international organization for public-private cooperation, World Economic Forum focuses on improving the state of the world while its IT and Electronics Governors community, driven by group of business leaders, is dedicated to ensure long-term sustainability of their industry and society. A key focus for the community in 2019 is to address industry’s challenge of trust and being responsible stewards of data, technologies and industrial markets including artificial intelligence. The Annual Meeting brings together notable leaders of government consortiums, international organizations and non-governmental organizations along with prominent cultural, societal and thought leaders. Speaking on the occasion, Eric White, Head of Information Technology and Electronics, World Economic Forum asserts, “The IT and Electronics Governors community is at the forefront of many developments of the Fourth Industrial Revolution, as new technologies are changing the way we work, communicate, do business, acquire skills and make decisions as a society. We are pleased that Francisco D’Souza is demonstrating the leadership necessary to work with world leaders to grow the social and economic opportunities offered by the digital economy”. Honored by the achievement and determined to demonstrate responsible and responsive corporate leadership, Francisco explicates, “I look forward to working with my peers to identify our agenda and advance key industry initiatives in 2019. The IT and Electronics Governors community is an effective platform to help our industry address some of the challenges that arise as technology becomes ever more central to business and daily life”.